A rising star among the Orient’s travel destinations, Vietnam is not to be overlooked when seeking authentic experiences in Southeast Asia. Its cities shine bright, foundations of gleaming skyscrapers adjoining those of markets, museums and Buddhist pagodas. 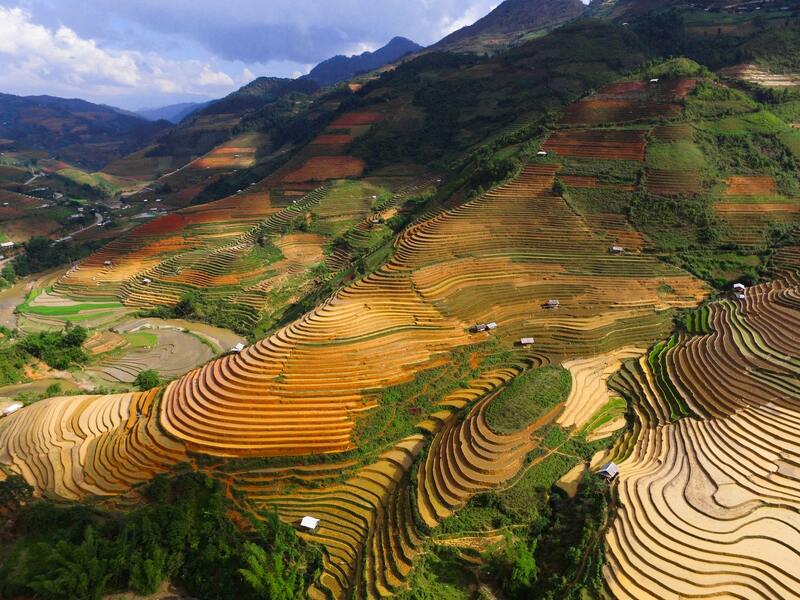 The rural villages, with their rice paddies set upon perfectly sculpted hillside terraces, overlook verdant cultivated lowlands and their slowly winding rivers. Limestone karst pillars are scattered through these plains just as they are through the bays of the sinuous coastline, making for surreal landscapes ideal for exploring. Farmers and fishermen supply the fare that Vietnam is prized for and folk culture tenaciously endures in both town and country, continuing to provide an array of heritage that makes this country a top choice for travelers. Sampling both the cities and dramatic natural scenery this country has to offer, Vietnam tours share the multifaceted story of this nation’s long and complex journey. Having been ruled by numerous ancient dynasties, Chinese, Japanese, and French occupations preceded Vietnam’s more recent division, war and subsequent reunification. In the last handful of decades, Vietnam has been growing its economy and building global relationships with gusto. Streets buzzing with scooters and “cyclo” three-wheeled taxis, the country’s urban areas are whirlwinds of activity that teem with points of interest from both antiquity and modern times. A metropolis retaining folk culture like water puppetry shows and innumerable craft vendors, the capital of Hanoi’s commerce and contemporary development intersperses with Buddhist temples of antiquity, the famous Tran Quoc dating at nearly 1,500 years old! Enjoying its renowned cuisine via cooking classes, or just going straight for the mouth watering array of street food, will satisfy your taste for both authentic cuisine and adventure. Food tour by motorbike options are available! 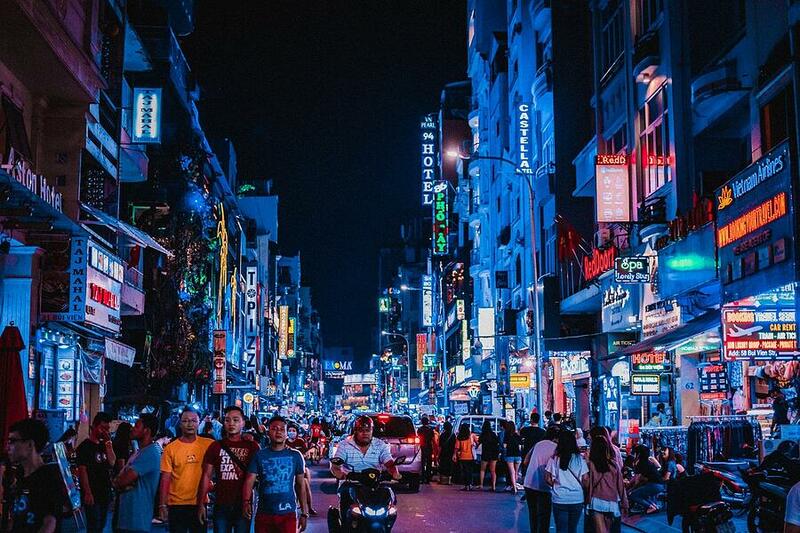 Ho Chi Minh City (formerly Saigon) is another city modernizing at warp speed, yet set amidst the lights and concrete are amazing opportunities to enjoy its art and history. The Old Quarter retains vintage architecture, with an eclectic blend of Asian and French building styles. Artistic experiences include its opera and museum exhibits, along with markets like Ben Thanh with textiles, curios and gastronomy to your heart’s delight. 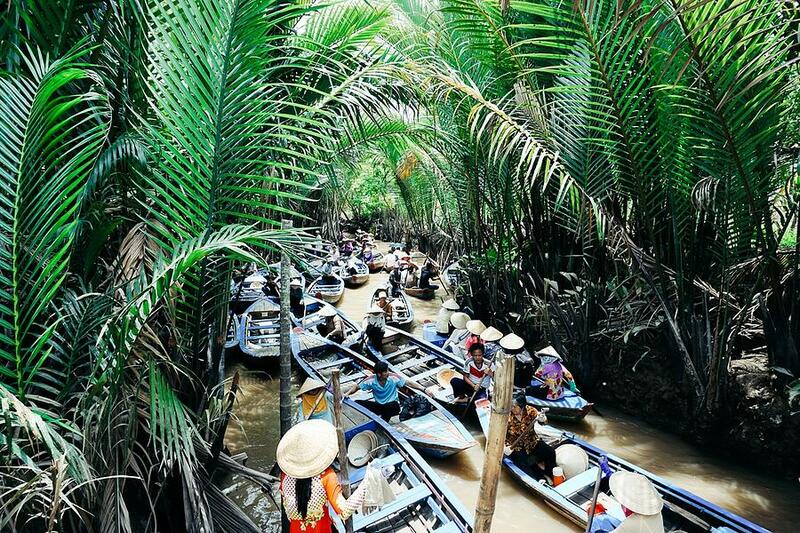 Include an exploratory cruise of the Mekong Delta, stopping in at local homesteads, checking out cottage industries and feeling the pulse of tradition. While there is plenty to see and do in the cities, the warmer charm of Vietnam lies in the more sparsely populated countryside. The further flung towns of Hue and Hoi An are each well worth a visit with their natural rhythms of life and firmer connections to land and culture. Hoi An’s centuries-old Tan Ky House with antiques and backstory of the 18th-century merchant owner, and the Pottery Museum’s town and trade history are highlights. Another special experience in Hoi An is the opportunity to join area farmers and fishermen for a delicious, very freshly harvested and caught (yes, you yourself can join in the fishing!) meal. Touring by bike is a top means of surveying the rural landscape and meeting locals, so warm up those legs and get ready for adventure! 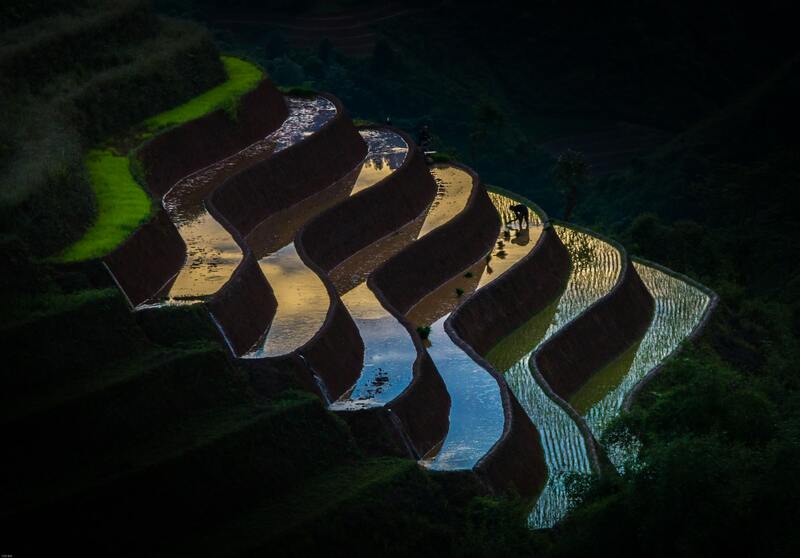 The meticulous contours of hillside rice paddies represent centuries-old labors of love, perfect in form and function. Take the opportunity to learn from the Sapa hill tribe, gaining an appreciation for their age-old lifeways - these interactions can be the highlight of a Vietnam tour. The dramatic coastline of UNESCO World Heritage site Ha Long Bay, not far from Hanoi, present prime opportunities for a variety of activities. If relaxation is sought, the mainland and island beaches, cliffs, caves and overall natural grandeur - as well as the floating fishing village - are ripe for leisurely enjoyment. If in search of more rigor, hiking and cycling the surrounding curves and coves as a prime means of taking it all in. Cat Ba Island’s National Park joins others like Cuc Phuong and Hoang Lien as national treasures of Vietnam’s conservation efforts, flourishing with biodiversity. A welcome to an authentic experience of Vietnam with Global Basecamps is waiting to be accepted and cherished for a lifetime - be in touch with us today to start planning your adventure!